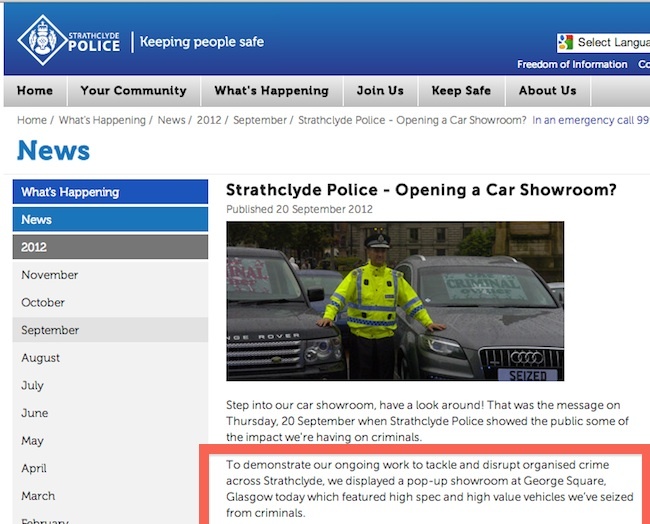 HATS off to Strathclyde Police’s acting chief constable Campbell Corrigan for his haul of “SEIZED” cars. The fleet of 10 cars includes a top-of-the-range Audi and a very pricey Range Rover with a sticking saying “one criminal owner”. Corrigan says the cars wer seized in raised on criminal gangs. The car dealership that supplied them might want to sue for defamation.